What a day for a hike along New Years Creek! I have been here several times prior to this visit with very little to show for it. It was too bright one visit. The water was too low another visit. The first time I hiked the Glen Burney Trail, I had only an iPhone camera. Needless to say, my photos of this waterfall have not been the highlights of my galleries. Last fall , a fellow hiker/photographer named Thomas Mabry, aka “The Honey Badger” posted a unique photo with a composition unlike any I had seen to this point. It really stuck with me. It made me really want to come back to Glen Burney Falls and take some photos from some new angles, and give this waterfall another, better effort. 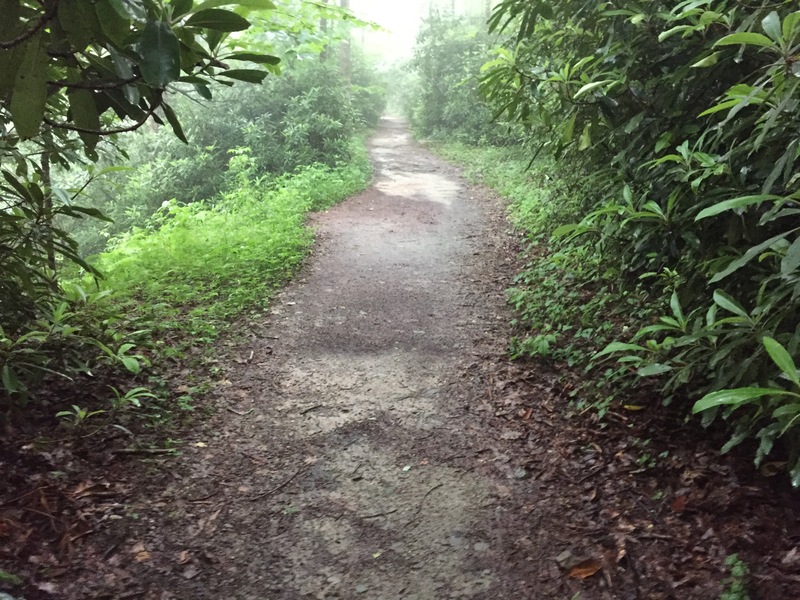 I decided the next time I hike the Glen Burney Trail in Blowing Rock, I would try to find the location that he had used. I have been blessed this spring with some opportunities to see and photograph some waterfalls in excellent conditions. The days have often been gray and gloomy, or perfect. The water levels have been up slightly. I have been able to find some free time to get out and take advantage of some of it, which does not always happen. 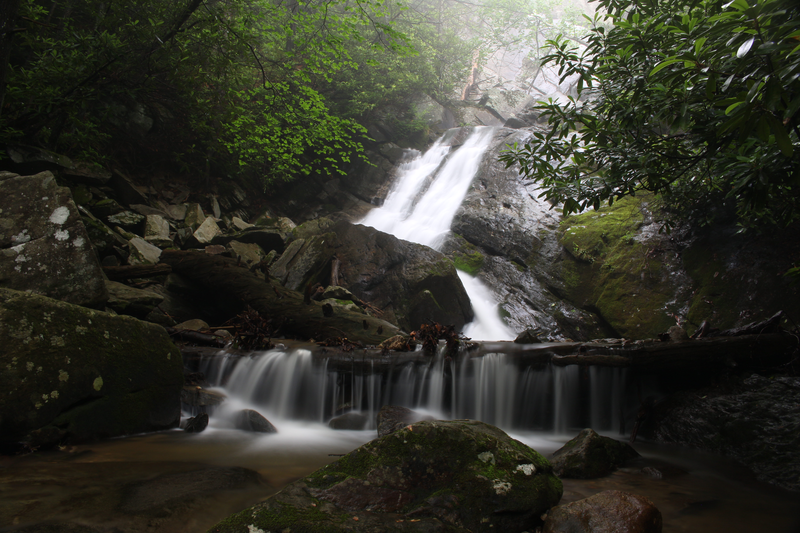 I live in the piedmont of NC, about an hour away from the location of this day’s hike in Blowing Rock. The weather can often vary greatly between these 2 locations and this was one of those days. 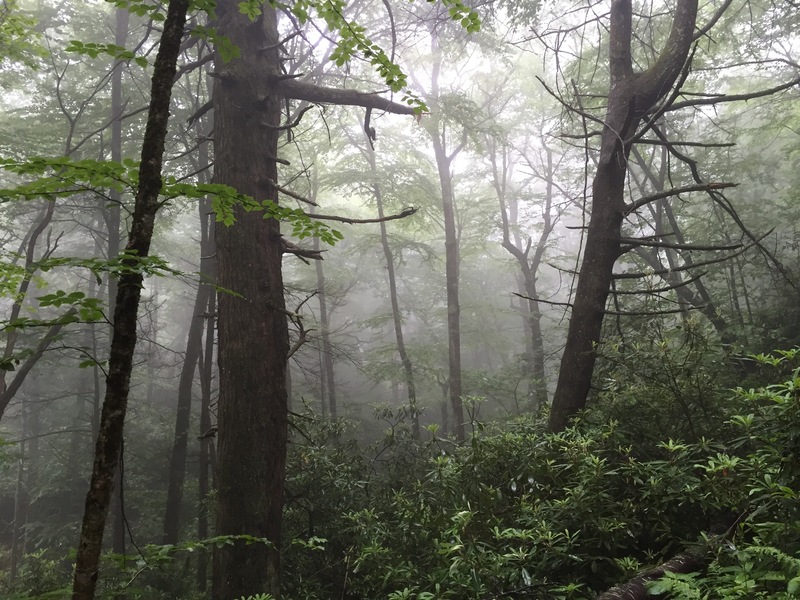 While the sun was out in Winston-Salem and temps in the mid 80’s, it was gray, damp, foggy and cool in Blowing Rock with off and on rain and temps in the high 50’s….what a difference! The fact that I see this and now look for it, is an indication to me of how I am coming along as a photographer. 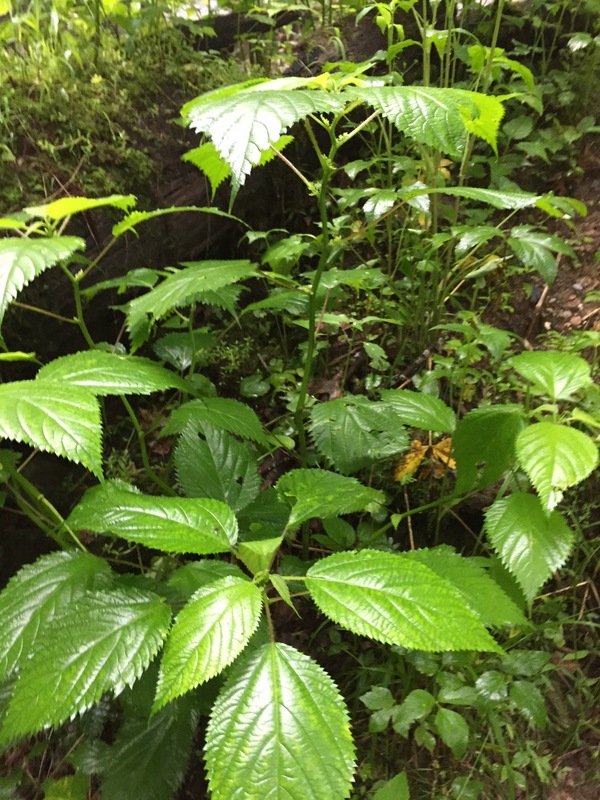 In the past, I would not knowingly leave a sunny 85 degree day to hike in a rainy 58 degree day. 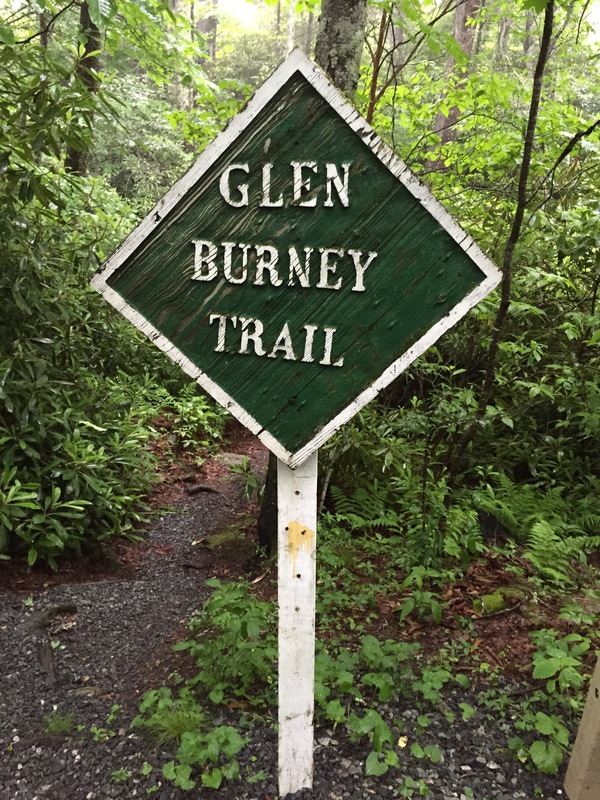 The Glen Burney Trail begins just a block or so away from downtown Blowing Rock, NC. From the main strip near the park, look for Laurel Ln. 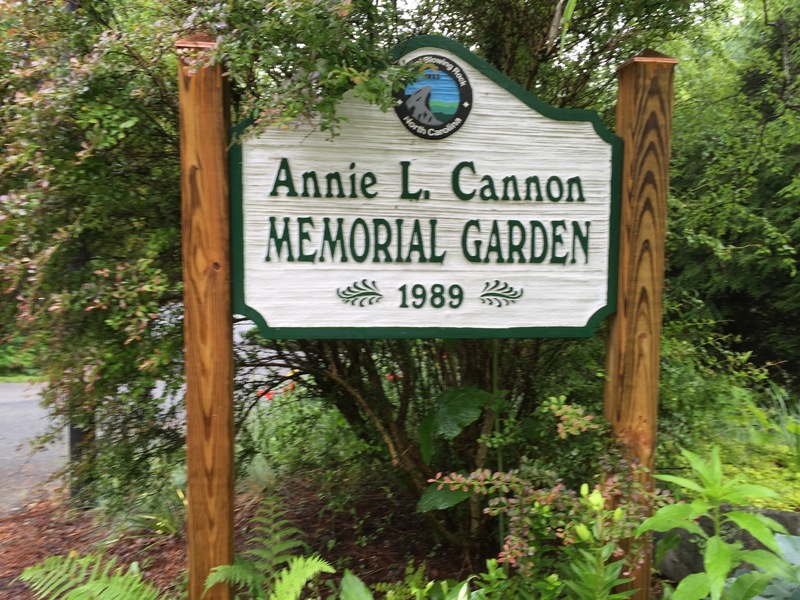 Turn here, drive down a block and look for Annie Cannon Memorial Garden on the left. Pull in and park here. If there are no parking spaces, there is plenty of parking just back up the road behind the park. 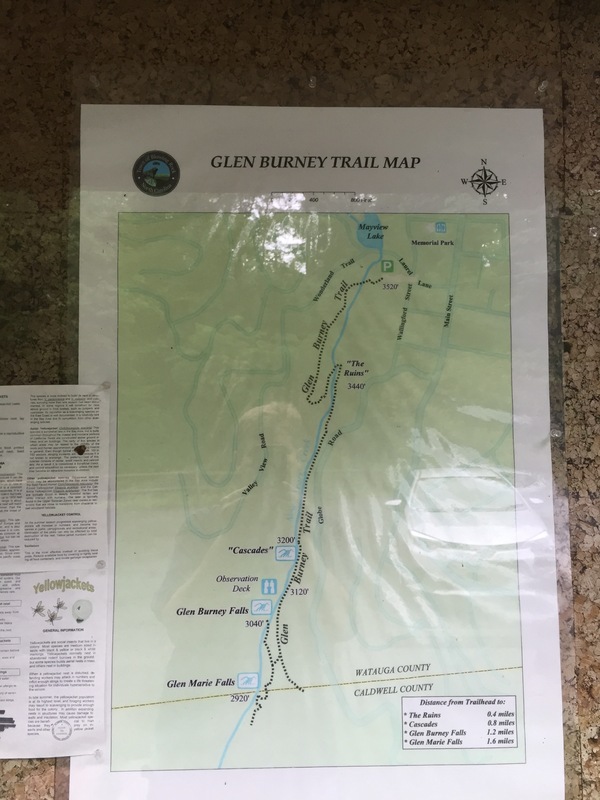 The Glen Burney Trail begins just below the Gardens. 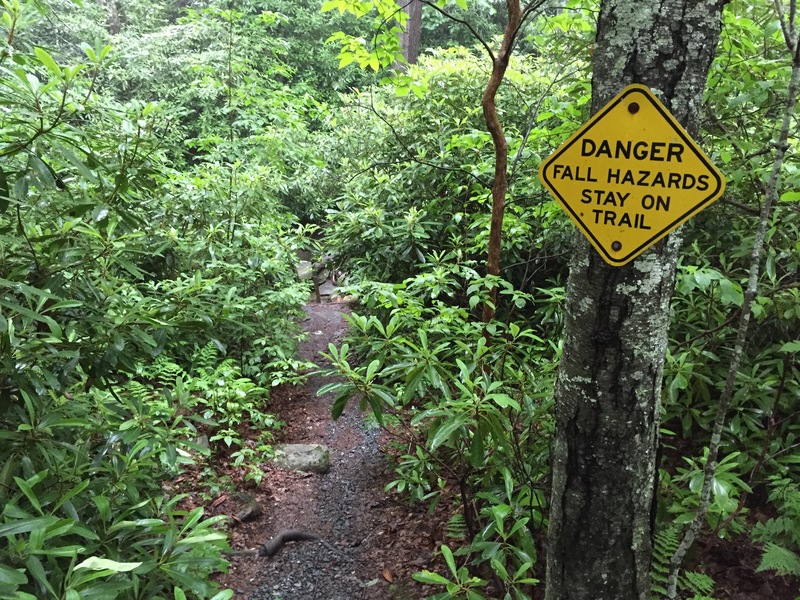 Here are a few things to keep in mind before attempting this hike. At the parking area, elevation is 3520′. 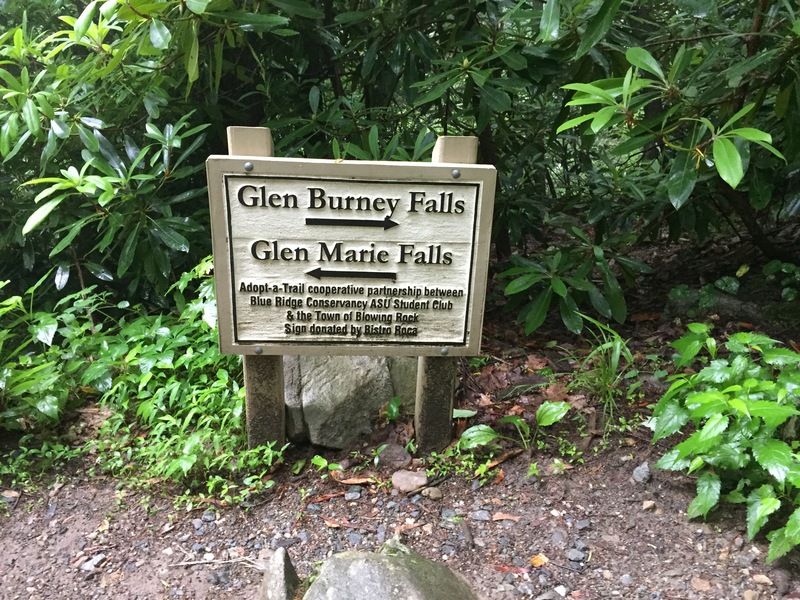 At the base of Glen Marie Falls, it is 2920′. This is a trail that after a somewhat flat beginning, descends the rest of the way, until it is time to come back up. It is narrow is spots and quite slippery if attempted on a wet day as I did. 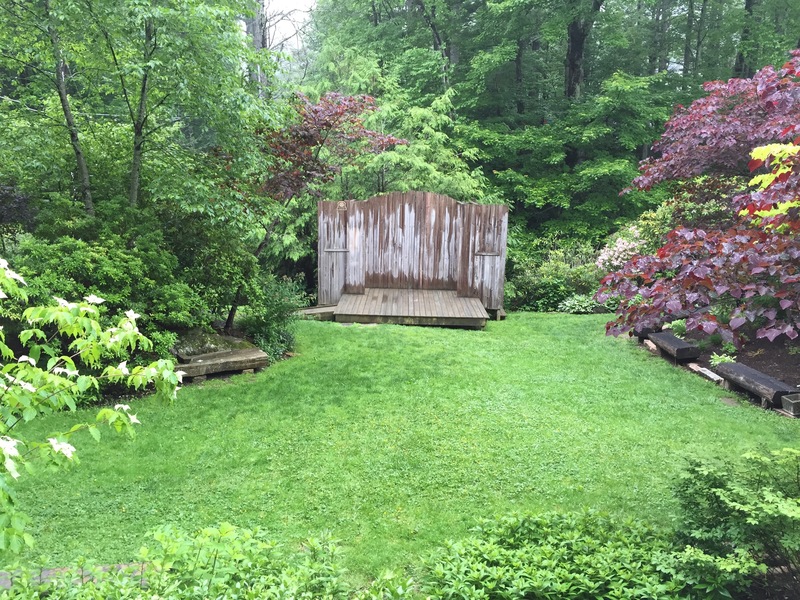 It’s also a worthy to mention that the observation deck showing just above Glen Burney Falls is no longer there. It was washed away several years back now. 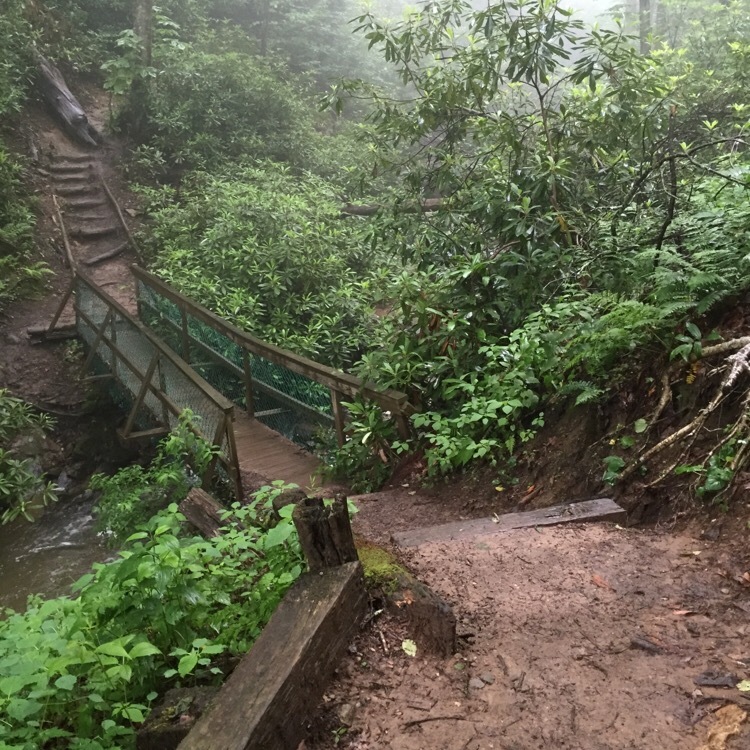 This will be a 3.2 mile round trip hike that will have most people huffing and puffing on the way back up. 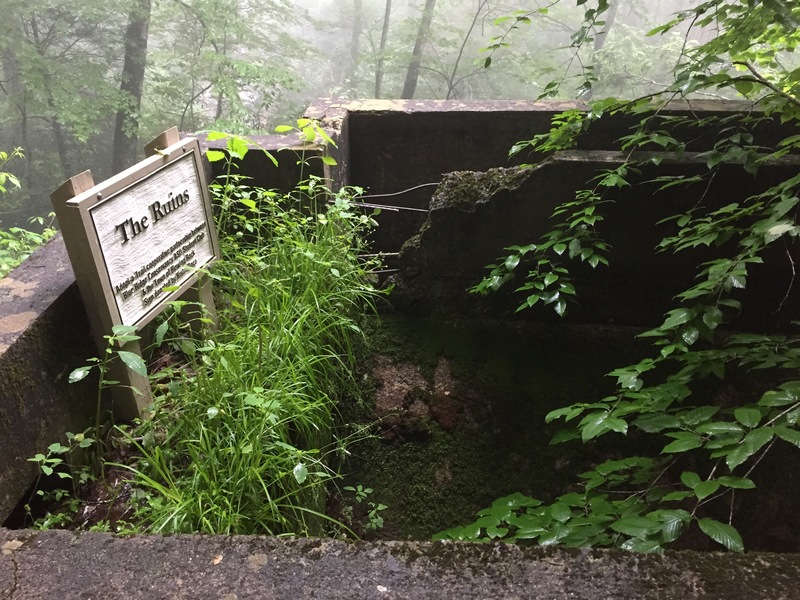 As the trail begins to descend, “The Ruins” are the first attraction to see. The Ruins are simply the remains of Blowing Rocks Sewage system from the early 1900’s. For the sake this hike, thank goodness it is long out of commission. It also tells me that this was probably a pretty smelly set of waterfalls many years ago. The trail that starts fairly flat, descends to the Ruins, then down to the bottom of them, on its way to a bridge crossing New Years Creek. 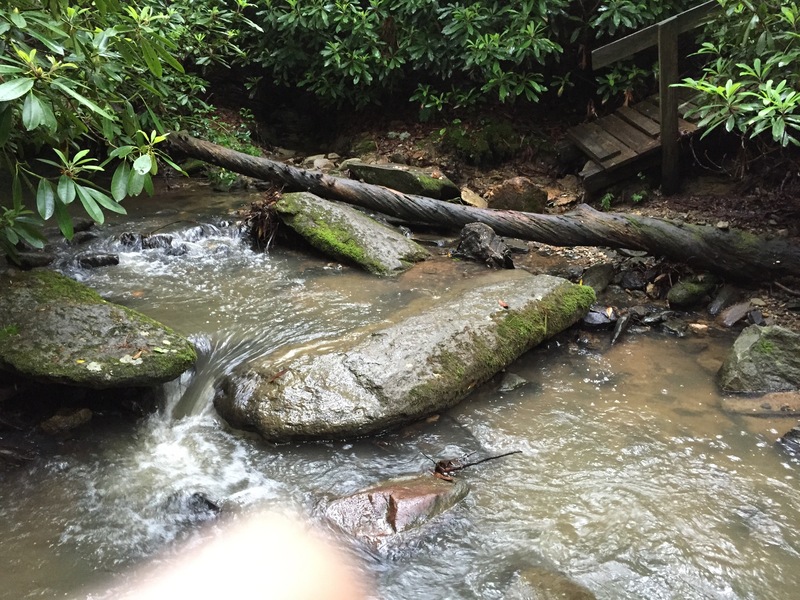 The remainder of the hike will be with the creek on your right. 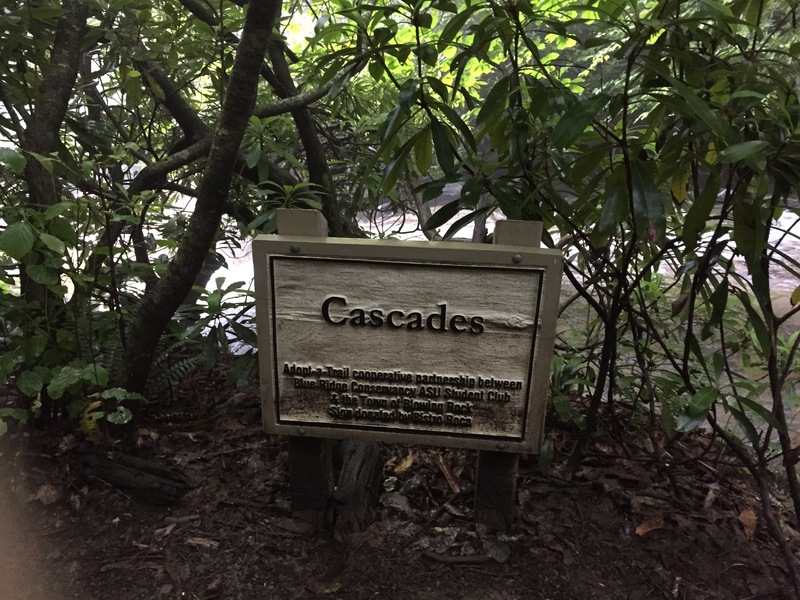 The first waterfall is “The Cascades”. 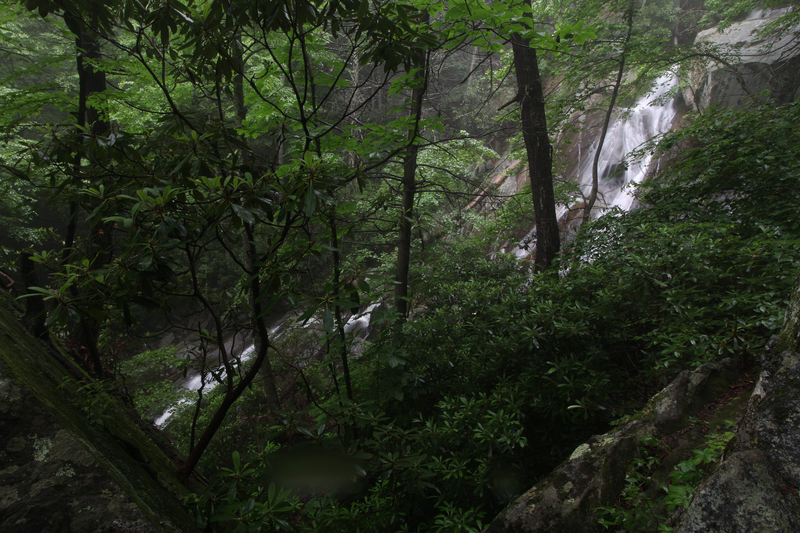 The cascades are about 20 feet and have a somewhat decent partial view of them from the trail. The trail is somewhat high above the stream here. 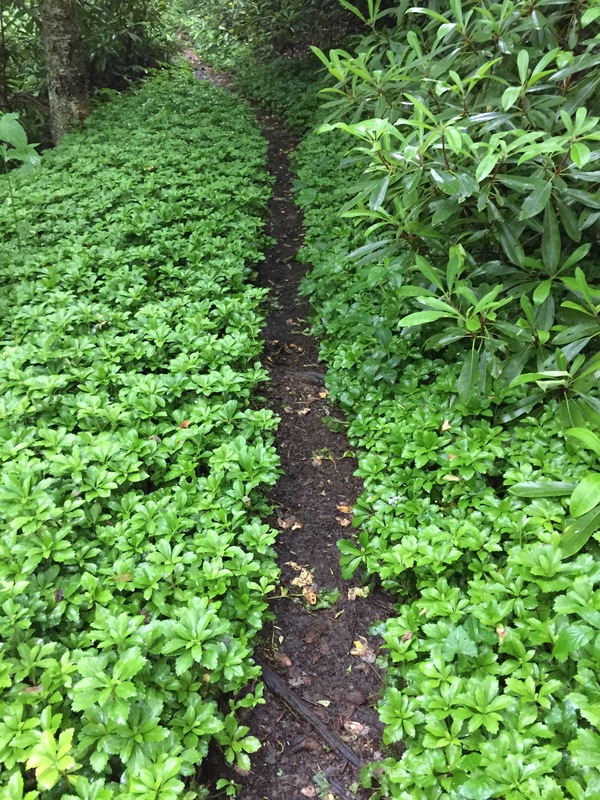 The banks down are steep, with only a goat path to follow. The waterfall also has a collection of dead trees and branches in it, so I didn’t spend much time here. 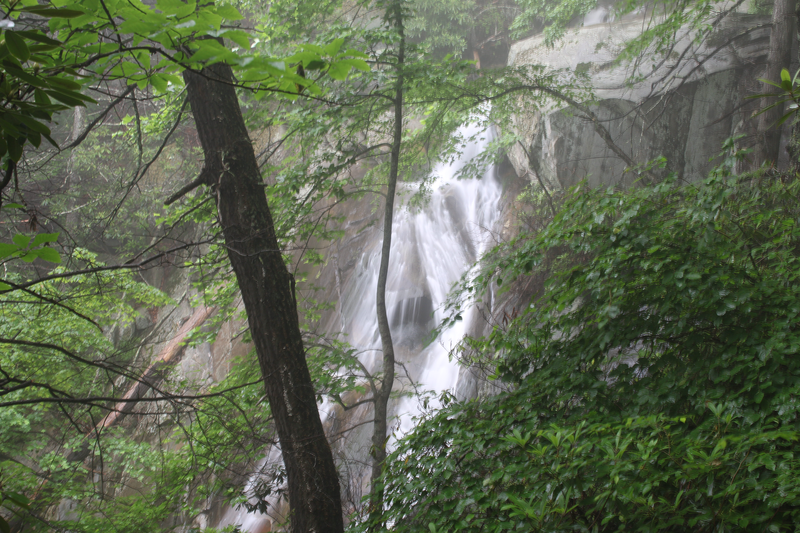 Heading down the trail, soon the rushing waters of Glen Burney Falls can be heard, farbelow. With the observation deck being gone, the best view is from the base. 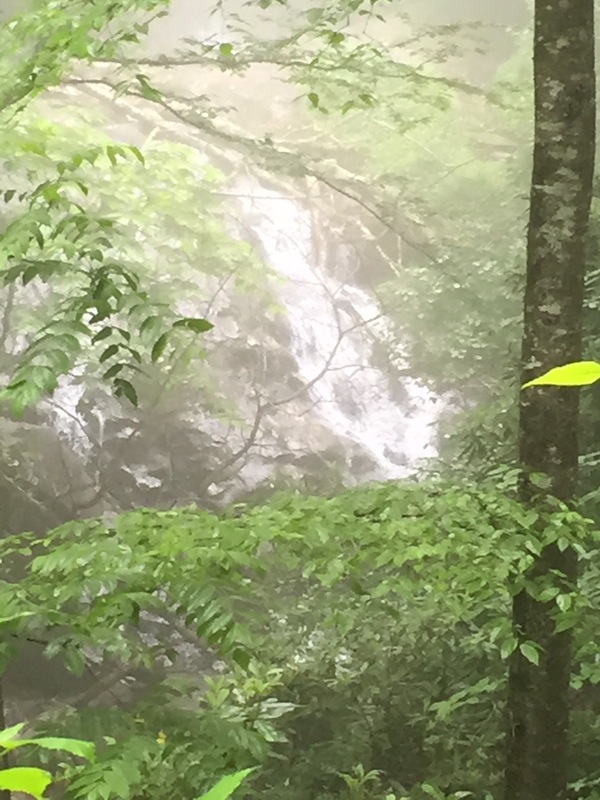 (I never cared much for the view from the deck anyway…lol) To get here, keep going on below the waterfall where the trail intersects another trail. A sign here will show directions to waterfalls, with Glen Marie Falls downstream to the left, and Glen Burney Falls upstream to the right. 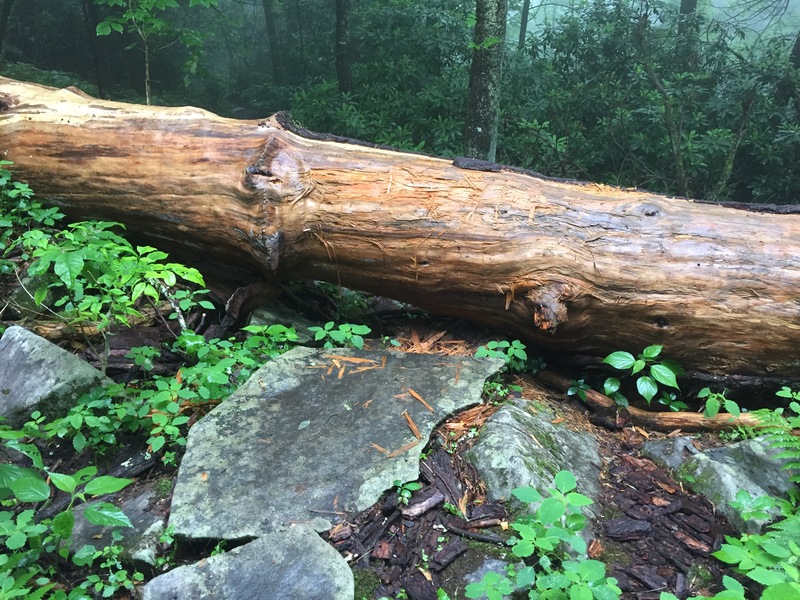 There is a tricky log to cross that is huge. 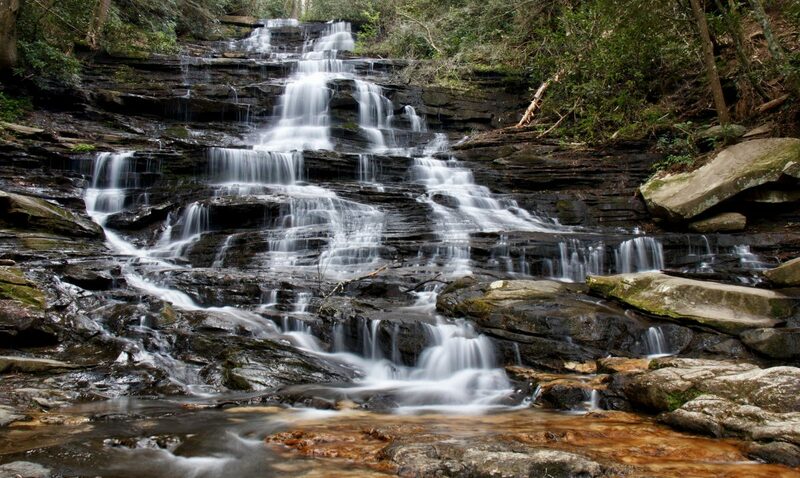 Once over…or around the log, enjoy the views of Glen Burney Falls. 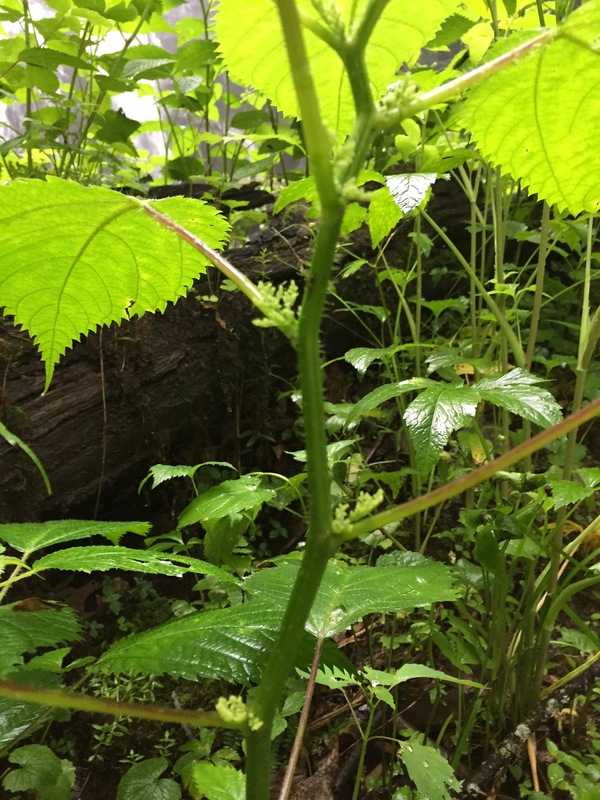 Watch out for the Stinging Nettle down here……..It is common all along the trail, but particularly bad down here. To get to the place that I believed Thomas Mabry got his photo, I would have to go left of the falls, downstream a bit, cross the creek down in some small rapids, and set the tripod up on some rocks on the other side of the creek. It was quite tricky, but with the aid of some remaining boards from the washed out observation deck, I was able to stay mostly dry, and obtain the photos that I came here for. 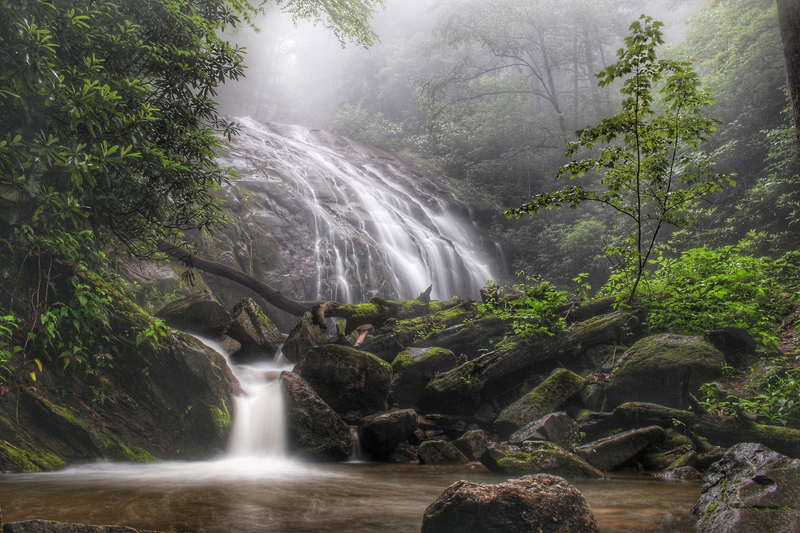 The picture, with the small pool and falls in front, with the larger cascades and fog in the background was a good one. It was definitely worth the trouble getting to the spot. 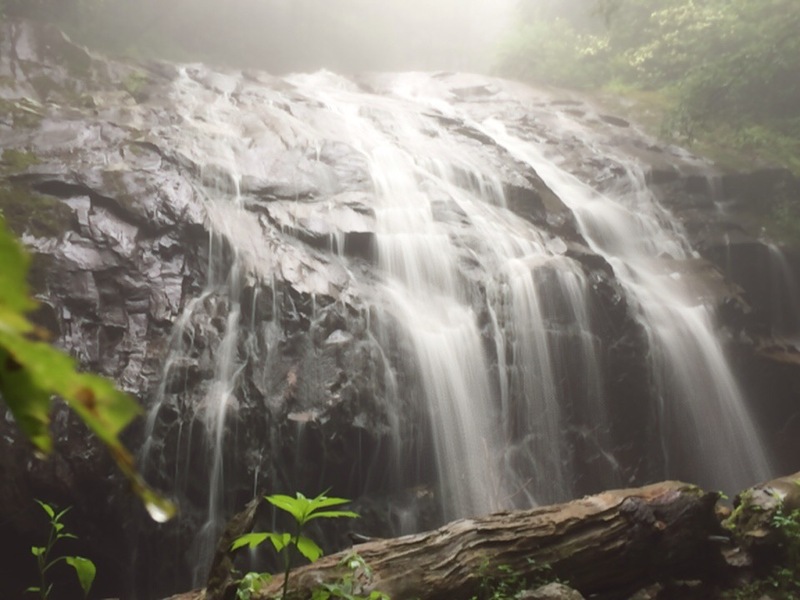 For prints of this waterfall, please click here: Fine Art America – Glen Burney Falls. After this, I made my way back downstream to the trail, and kept going towards Glen Marie Falls. This one is taller, at 60′ but unfortunately can not really be photographed in one shot. 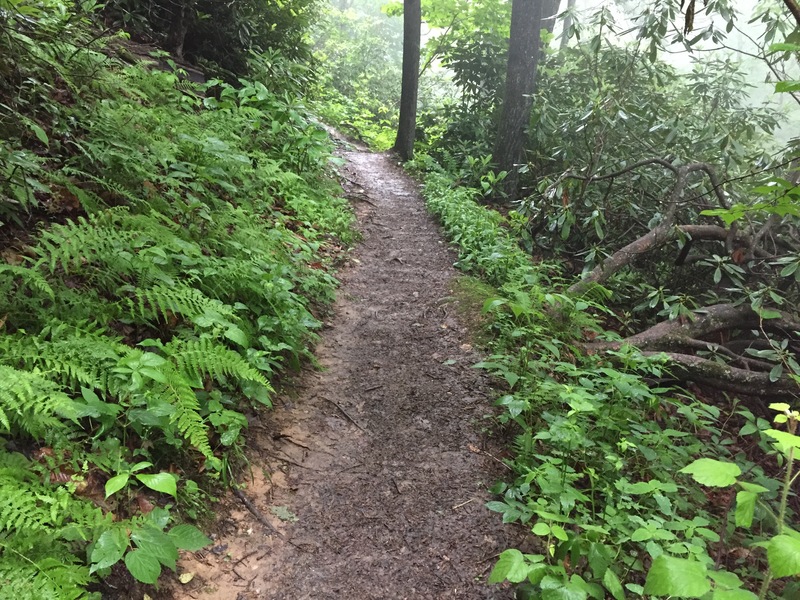 The trail down to this one really picks up in steepness as well. 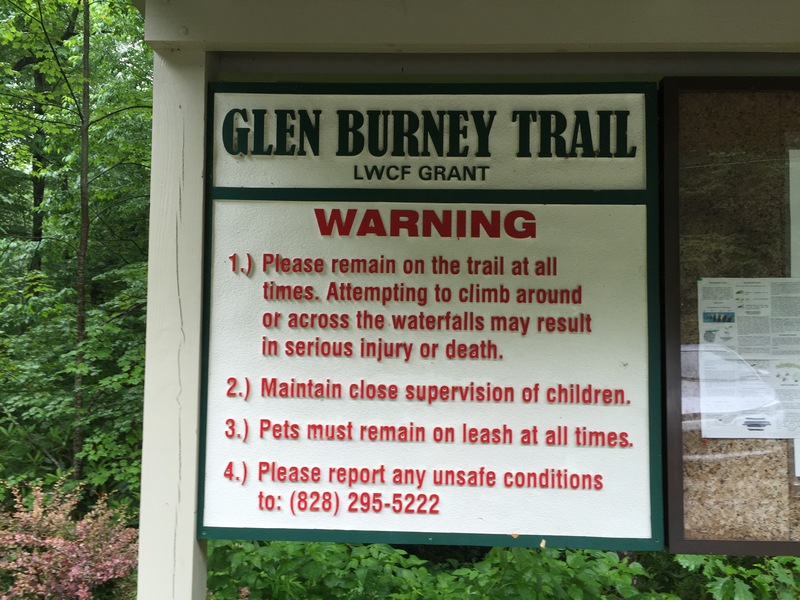 Please be careful as the trail comes out near the top cliff part of Glen Marie Falls. You certainly did have great conditions. Love the photo !